The route for the 2014 Bridge Cape Pioneer Trek international mountain bike stage race in South Africa has been finalised and holds some spectacular highlights for the more than 800 riders to look forward to come 12 October when the sixth edition of the race gets underway. For the first time, the Bridge Cape Pioneer Trek will have International Cycling Union (UCI) grading status, which means an increase in prize money and the allocation of UCI rankings points to the top finishers on each stage and overall. But most of the field won’t be concerned with podium battles, but rather conquering a race route that’s varied, challenging and rewarding, which contains some exciting fresh section as well as some old favourites, covering a distance of 574km with a total vertical ascent of 11 958 metres over the seven days. A typically African bush experience will herald the opening stage, which is a 15.3km prologue time trial at the Buffelsdrift Game Lodge just outside the Western Cape town of Oudtshoorn. Buffelsdrift is home to a variety of wildlife including three of the Big Five - buffalo, rhino and elephant - sure to create a powerful impact, not only on the international racers, but the South Africans too. Riders can expect some short climbs and fast, flowing descents in the race opener, which climbs a total of 371 vertical metres. Stage 1 from Oudtshoorn to Calitzdorp is a 100km haul with 1794 metres of climbing. The muddy conditions near the start of this stage in 2013 had a significant impact on the final overall standings in all categories. It’s not the stage where you can win the Cape Pioneer Trek, but, as was seen last year, it’s certainly a stage on which you can lose it. Riders will be relieved to know that this year there’s a different start venue - the centre of Oudtshoorn - with whole new section of trail between the first two water points. 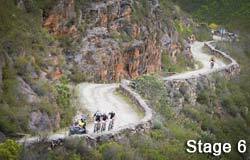 As with 2013, Stage 2 will once again take riders from Calitzdorp to the summit of the Swartberg Pass, still the only mountaintop stage finish in South African mountain bike stage racing. The iconic stage offers a total of R250 000 in prize money, to be split equally for the first men’s team and first women’s team to the summit. It’s the richest stage prize in mountain bike racing. Stage 2 is only 86km long, but at 2781 metres of ascent, a brutal challenge. 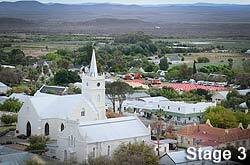 And Stage 3 from Prince Albert to De Rust, which crosses from the Great Karoo to the Klein Karoo through the dramatic Meiringspoort over a distance of 107km with 1543m of ascent, will also follow a similar route to the 2013 edition. 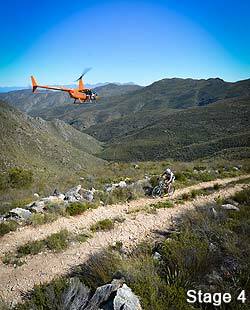 The 10km singletrack descent through the Swartberg into Meiringspoort is one of the most talked about sections of trail from last year’s race and has been included again for 2014. But Stages 4-6 bring some fresh terrain - and challenges - to the 2014 edition. Stage 4 looks like it will be decisive. With 2690m of ascent in 109km, it promises to make or break podium dreams. It could also prove the toughest test for the non-pros who are aiming to beat the daily cut-off with a bit of time to spare. The stage starts with a 25km steady drag before taking riders through the Kammanassie Mountains and over to the coastal belt area of George. The contrasts on this stage are remarkable. It shouldn’t be underestimated. Stage 5 from George to Herold is also likely to be deceptive. In just 71km, riders will have to climb 1755 metres, initially up an 18km climb out of George to the Montagu Pass, after which riders will be taken on a new section of trails through the Klein Langkloof along the northern slopes of the Outeniqua Mountains. 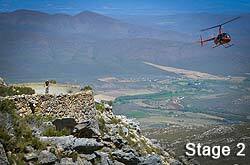 The final stage is being touted by the organisers as the ‘easiest in Cape Pioneer Trek history’. The riders will no doubt appreciate this last reprieve-like 86km leg from Herold to Oudtshoorn via a loop on the much-praised trails of the Chandelier Game and Ostrich Farm. 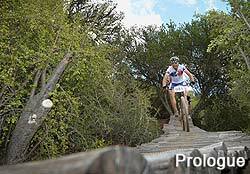 “We change the Bridge Cape Pioneer Trek route each year to ensure it stays interesting for the riders, many of whom return year after year, and that we make the most of the amazing variety of terrain we have in the region,” said Henco Rademeyer of Dryland Event Management, the organisers. “We’re a bit limited in making any significant changes to the first half due to us getting the race to the summit of the Swartberg Pass on Stage 2, Day 3. That’s become such a significant stage and we really feel it’s important to retain it for 2014. But the second half of this year’s race definitely brings some great changes. It’s going to be tough; it’s going to be scenic; but it’s going to be worthwhile. We can’t wait!” smiled Rademeyer. Camels are called "ships of the desert" because of the way they move, not because of their transport capabilities. Camels sway from side to side because they move both legs on one side at the same time, elevating that side. This is called pacing, a ship-like motion which can make the rider feel sick.